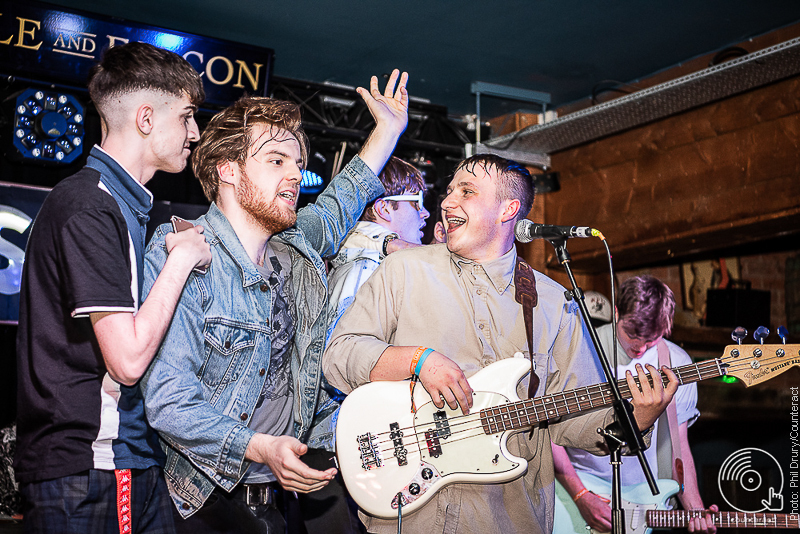 The night of May 12th saw four-piece indie pop band Riscas headline their biggest Birmingham show with a sell-out, lively crowd of 300 people. Solihull’s very own The Clause kicked off the show at the Castle and Falcon. 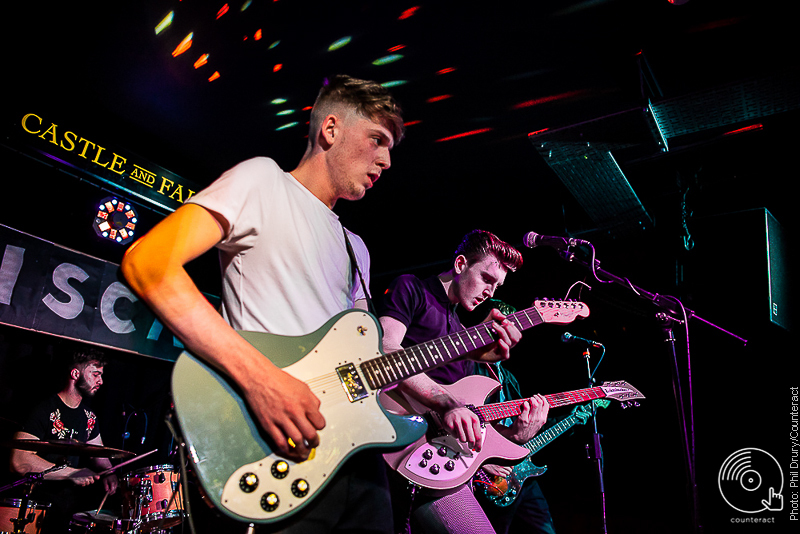 Lead vocalist Pearce took his place on stage with a slicked-back Alex Turner hair-do and started off the night with some quick guitar riffs and catchy tunes including ‘Golden Age’. 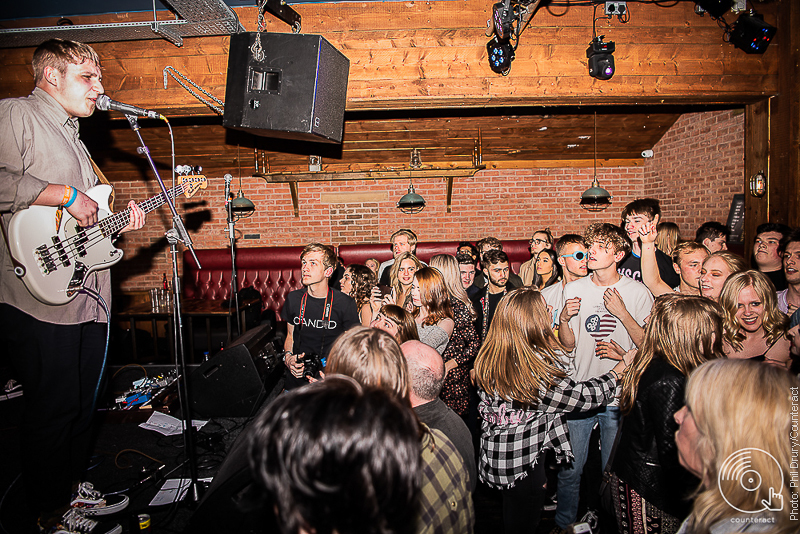 Next, we saw yet another Midlands based band Candid take to the stage, playing a series of indie- rock tunes with a personal favourite being ‘Breathless’. The crowd were surely enjoying these songs too, with many joining in a light mosh pit whilst singing their hearts out. 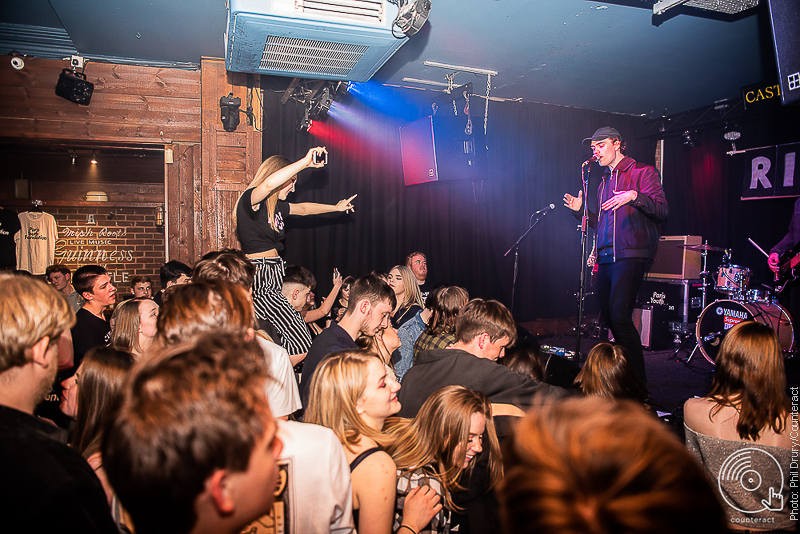 Our third support act came from the secret supergroup, comprising of members from Swim Deep, The Japanese House and Vant. Wolfgang Harte and his band arrived on stage in an eclectic range of outfits, including a full suit and tie and leather jackets and biker boots. Although the band may have had a more heavy and raucous vibe compared to their predecessors, they played a short yet sweet warm-up set ahead of linking up with Peace for the second half of their UK tour. 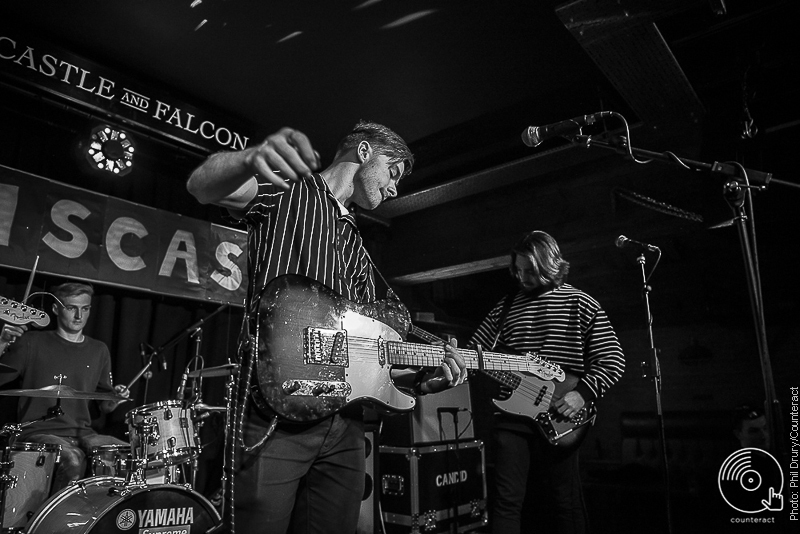 The final support band of the night came from Paris Youth Foundation – a Scouse indie band, described as having a ‘The Strokes meet Wolf Alice’ groove. 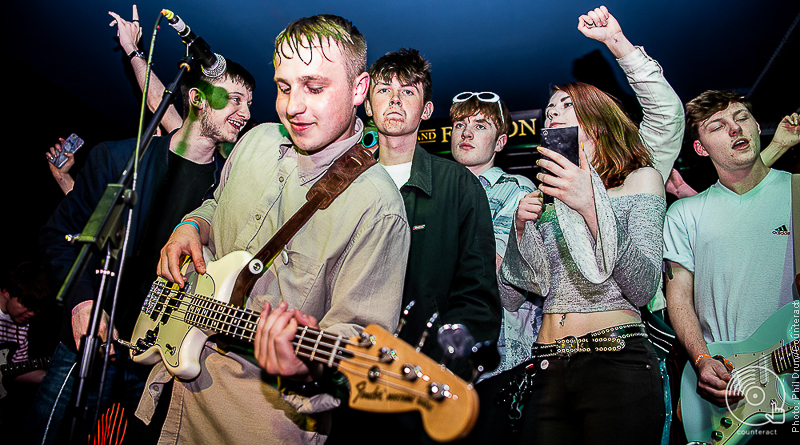 PYF opened their set with ‘If You Wanna’ – leaving a sea of bobbing heads and a wave of people jumping around, eagerly waiting for more as the song reached its end. The act we had all been waiting for arrived on stage at 10:20 and played a healthy 40-minute set. Riscas kicked off their performance with an introductory series of sequenced guitar riffs before heading into ‘Talk Your Mind’. 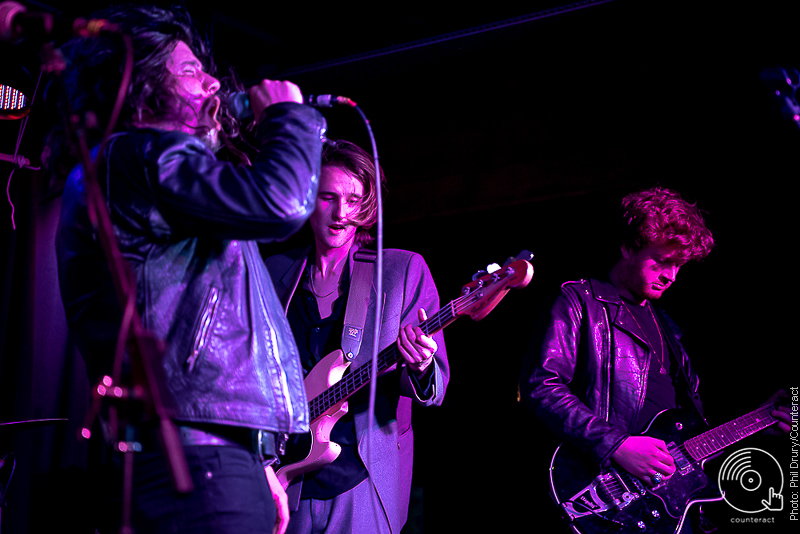 The set included the crowd favourite ‘Panic Like Tom’ and featured four new songs from their recently recorded EP. It was safe to say the crowd were well and truly wild, with three quarters of the crowd transformed into a mosh pit, and there was even a stage invasion for the final two songs. Riscas yet again, performed well. Watch out indie scene, this band certainly needs to have an eye kept on them.